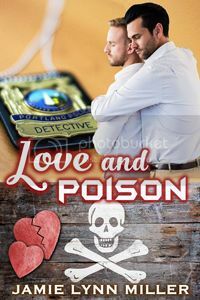 Jamie Lynn Miller | "Men in uniform…and out"
★ BLURB: Detectives Mitchell Reid and Joseph Valentino of the Chicago Police Department have finally moved from friends to lovers, partners on the job and off. Their new-found happiness is short-lived, however, when an escaped felon with a thirst for revenge shatters their world. 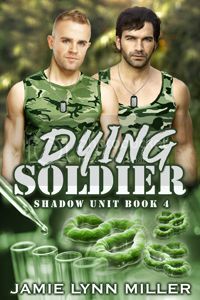 The police tactical raid to recapture the convict goes horribly wrong, leaving Mitch severely wounded and Joey with a devastating head injury that plunges him into a long-term coma. NOTE: This is a second edition of a previously published book that has been re-edited, revised and expanded by 10,000 words. My shiny, new custom pencils I’ll be giving away at the local author library events I’ll be at later this month! 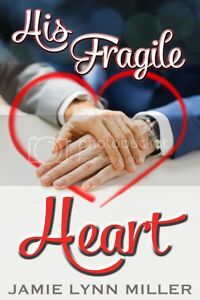 ★ BLURB: Lucas Taylor is a hard-working New York City fireman at Station 127, dedicated to his job, even though it has brought him heartrending tragedy – the loss of his lover, Ryan, in an explosion a year ago. Evan Singer is the new guy in town, a paramedic transferred into Station 127 from San Antonio, and he sets his eyes on Lucas from the get-go. Neither knowing who the other is, their first meeting is explosive, a night of passion and desire that awakens something inside Lucas he never thought he’d feel again. It’s five months later and Lucas is nearly a full-fledged paramedic. But becoming a medic means no longer being able to work with Evan at Station 127 and giving up his chance at a promotion to Lieutenant. As graduation looms, will Lucas change his mind? Then add in a young man Lucas rescues from a fire that becomes an obsessed stalker, and Evan’s altercation with a victim’s husband that threatens his career, and things turn explosive at the FDNY. It’s BookQuoteWednesday! #BookQW This week’s word was “GOOD”. Can Shane help Tyler break free of a life he’s convinced he deserves before it’s too late? 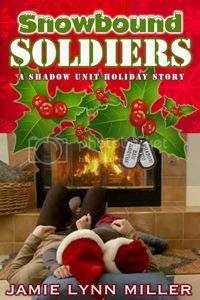 Check out my Hollywood actor meets K-9 police officer #GayRomance “Out of the Shadows”! ★ BLURB: For K-9 Officer Shane Walker, transferring from the Tulsa police department to the elite L.A.P.D. was a dream come true. He nearly forgets he’s in Hollywood until he responds to a 911 call that brings him to the home of actor Tyler Donovan. It appears that Tyler has it all – a career that’s on fire and a loving, long-term relationship with his partner, Alex. 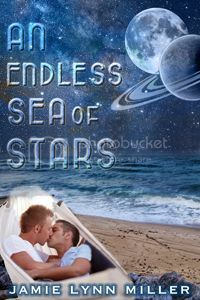 But then Shane uncovers the truth that Tyler had been trying to hide, and the illusion comes crashing down. Can Shane help Tyler break free of a life he’s convinced he deserves before it’s too late, and in the process help them both find love? 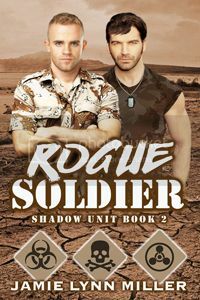 BLURB: Serving with the elite anti-terrorism task force known as Shadow Unit, Sergeants Connor Finley and Shawn Weller have faced arms dealers, drug lords, terrorists, rogue CIA agents and biological weapons. But with the unconditional support of their team, and more importantly, their love for one another, they possess the strength to survive any challenge. But how do you fight an enemy you can’t see? 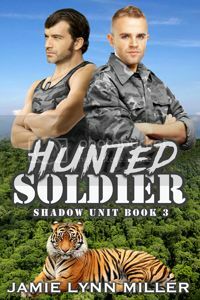 When a mission in Sierra Leone takes an unexpected turn, Connor and Shawn find themselves under quarantine and in isolation, their lives hanging in the balance between life and death. This time, their team is on the outside, looking in. Have Connor and Shawn finally found themselves in a battle they cannot win? 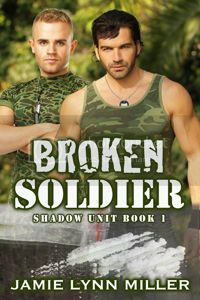 Don’t miss Connor and Shawn’s previous missions in BROKEN SOLDIER, ROGUE SOLDIER and HUNTED SOLDIER! ★★ BLURB: Matthew Tucker is a successful actor on a hit television show, his career on the rise. Life is good. What more could he want? Daniel Westman, that’s what – his co-star and close friend for the last two years. His dedication brings them closer than ever before, but is it possible to find happiness, and love, in the wake of a tragedy? Or has Matthew’s hesitation cost him that chance and he’ll lose Daniel to the darkness instead? ★★ BLURB: After losing his lover in a car accident two years ago, actor Nathan Marshall wasn’t interested in another relationship. Until he meets waiter Justin Kowalski. Something about him seems so familiar that Nathan is instantly drawn to the younger man. Surprised at his capacity to love again, his relationship with Justin blossoms. But then an unbelievable truth is revealed – one that could break both their hearts for good.